This month the Ironstone Building Company was honoured to be able to give back to two deserving London families. The team helped frame two homes for Habitat for Humanity, an organization devoted to building affordable housing. The Ironstone team spent a whole day working on two homes for the Kassa and Cooper families, who are hoping to be able to move in before the holidays this year. “As a proud Londoner who was born and raised in our city, it has always given me great pleasure to give back to our community. Participating in the Habitat for Humanity build day was a rewarding experience for both myself and our entire Ironstone team. 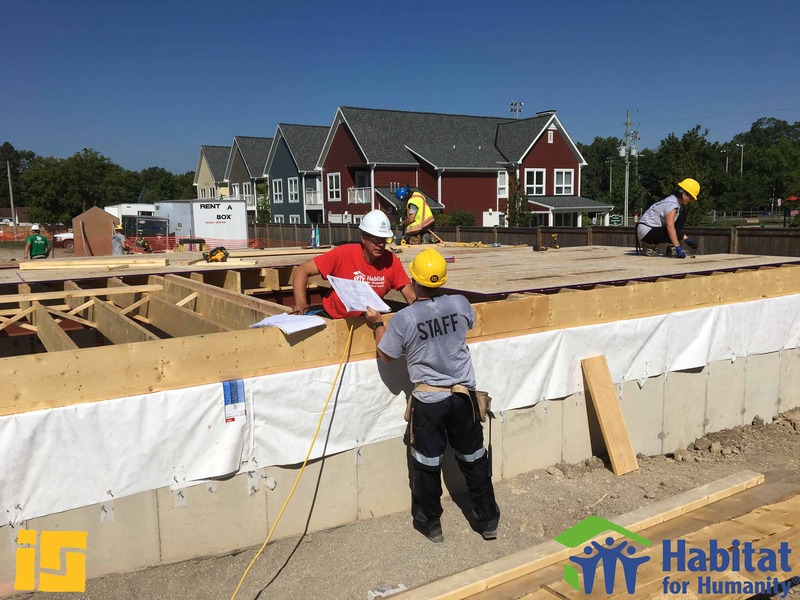 Knowing our contribution will help two families achieve their dream of living in a new home is a satisfying feeling that will endure well past our contribution,” says Ironstone president David Stimac. Click here to find out more about Habitat for Humanity.